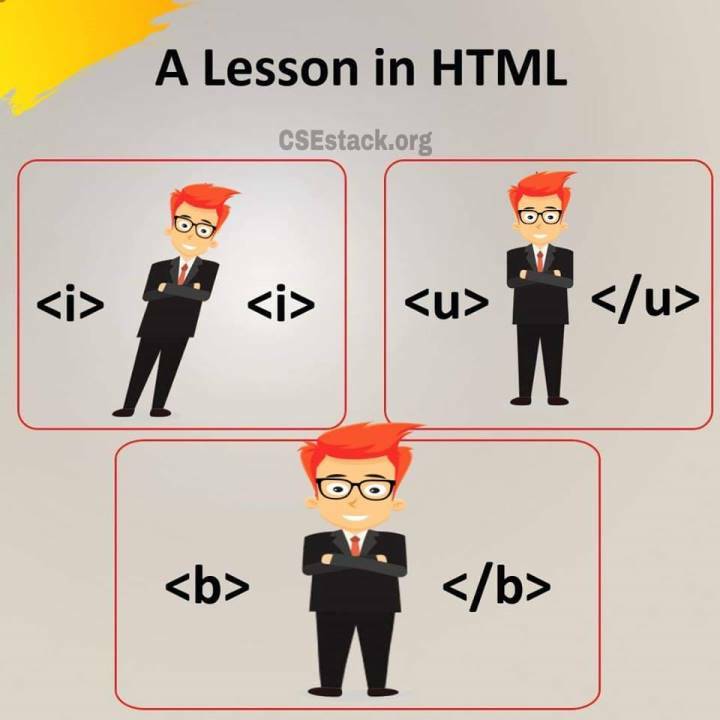 Do you want to learn the most useful basic HTML tag that will be very useful in every web page development? 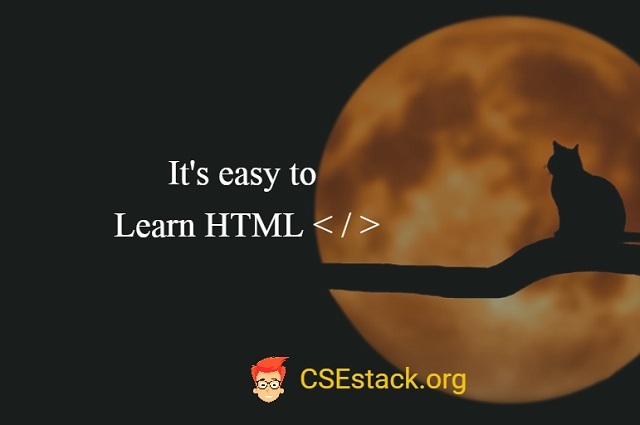 In this tutorial, you will find a list of all basic HTML tags. Knowing the syntax of these HTML tags will help you at every stage of your web page development. HTML is markup language and it is used to create web pages. You can run HTML code in the browser so you don’t need any external software to test the HTML code from this tutorial. How to set Text Header in HTML? How to add Table in HTML? How to Create List in HTML? How to Add Images in HTML? In this tutorial, for practicing and running HTML code, use Online HTML editor. Copy the example code given below into online HTML editor and run it. Pro Tips: Executing code practically is always preferable and good practice for any programmers, rather than just reading it. HTML has <p> tag to define the paragraph for the web page. The text inside the <p> and </p> tags will be considered as one paragraph. If you run this code, you can see, every paragraph starts with the new line. To defines the header in HTML, there are six tags from <h1> to <h6>. The tag<h1> has the most important whereas <h6> has the least important. 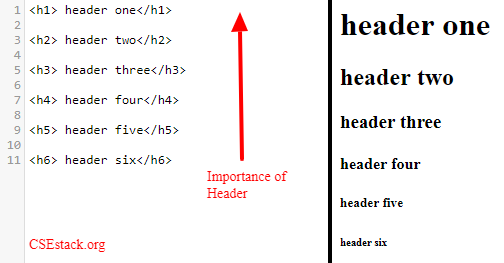 HTML Header tags with its importance. Usually, the font size of the header text decreases from tag <h1> to <h6>. Following is the list of tags you can use for text formatting. Description for each tag is straightforward to understand. Try using different text formatting tags in your HTML code to realize the difference between them. 4) How to Add Table in HTML? HTML has <table> tag to create table. <table> tag consist of <tr> (table row) tags. And each table row tags can have <th> (table header) or <td> (table data) tags. Below image explains detail about HTML table tags. You can add links in your HTML text. There are two types of the link- internal link and external link. If you are linking page to your own website page, it is called as an internal link. If you are linking to any other website page, it is called as an external link. Here, the link text is also called as anchor text. 6) How to create List in HTML? There are two types of list- an ordered list and an unordered list. Tag <ul> is used for unordered list. Tag <ol> is used for the ordered list. Here, <li> is list item tag. Items in the ordered list are listed by ascending numbers. 7) How to Add Images to your HTML page? Here is Simple syntax for adding an image in your HTML page. The src is an attribute to which you need to pass the complete path of the image. alt – This attribute is to define an alternative name for the image. What is the use of alt tag? And there are many purposes for using it. This name will be shown to the user if the image is not able to load properly (because of poor internet connection). It is also used by the search engine to identify the image. width and height – With these attributes, you can provide the dimensions of the image to display. PS: The images displayed above in this post are the example of using the img HTML tag. How to Create Drop Cap using CSS and HTML Code? This is the complete list of all basic HTML tags. And you will be using them in almost every web page development. So, make the practice of using them. Now a day, there are many online HTML editors available. With the simple drag and drop options, you can create HTML objects without worrying about syntax. But, it is still necessary to know the basic syntax for a better understanding of HTML and web development. Thanks, Chathura! I’m glad you find it informative.